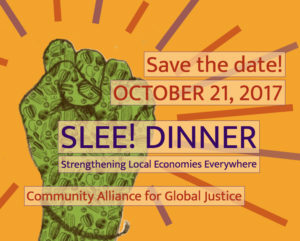 We are seeking a SLEE Dinner Coordinator to continue the work of organizing our 11th annual Strengthening Local Economies Everywhere Dinner, to take place on Saturday, October 21. This position is based in our Seattle office and will be 10hrs/week from July to November. In order to pass off the training from our current coordinator, we will aim to hire the first week of July. Applications are due 5pm Sunday June 25 to contact_us@cagj.org. To apply, please email your resume, three references, and a cover letter telling us why you are interested. Interviews will be held the week of June 26. We recognize that 10 hours per week is reasonable up until the 2 weeks before the event, when you will probably be working alot more; we hope bonus will account for that. Benefits not included. $500 successful completion to be paid within 15 days of completion. Comes out to $750 per month, $166/week, 10 hours a week at $16/hour. $500 Bonus: If we raise at least 10% over goal (TBD). Ensure thorough follow-up after the event, including data-entry, finalizing financial transactions, volunteer appreciation, office organization etc. 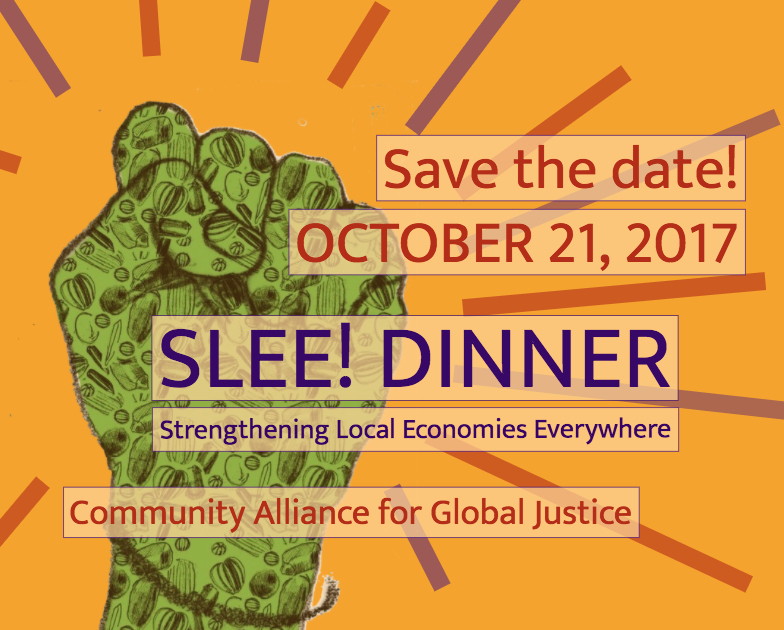 ← Save the Date: October 21 is SLEE!